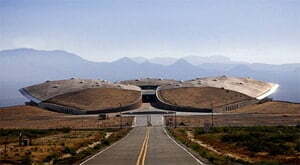 Virgin Galactic is still reaching for the stars from southern New Mexico, and that’s a relief considering state taxpayers have 10 years and more than $218 million invested in Spaceport America. And it’s a testament to the expertise of those involved that they remain dedicated to quite literally getting this monumental endeavour off the ground. Because when state legislators propose having what amounts to a garage sale, it would be easy to pick up and take your rockets to one of the eight other spaceports in the nation, be it in California or Colorado or Texas or Florida. That would be a loss of galactic proportions. Virgin Galactic is not a fly-by-night operation, no pun intended. It has won the $10 million Anasari X Prize for taking people into space. It has successfully tested launch vehicles, a re-entry system and rocket-powered flights. Its technology was exonerated in a tragic 2014 explosion attributed to pilot error. Virgin Galactic CEO George Whitesides said during a luncheon Tuesday hosted by the Greater Albuquerque Chamber of Commerce that the company has more than 500 people on staff, including six pilots with impressive military, commercial and test flight credentials. As Virgin Galactic continues to prepare for another launch, the Spaceport under executive director Christine Anderson is busy diversifying, getting the word out to the public at large (photo shoots and movies), as well as the industry leaders that can expand the facility’s core target audience (drone and satellite companies have recently signed on). All bring name recognition and dollars to the Land of Enchantment. Space tourism and suborbital travel have huge promise. As home to the only place in the nation besides the White House that has protected airspace from ground to infinity, New Mexico should understand that. Because the other folks who have invested in Spaceport America sure do.